CellGuide, a Rehovot, Israel–based fables semiconductor manufacturer of highly integrated host-based GPS/GNSS receivers, has introduced the RAMON GPS module. Measuring 5.4 x 4.6 x 1.1 millimeters, the RAMON module includes both active and passive components in a single fully integrated package, meeting the demanding design and cost requirements of device manufacturers. The RAMON module contains CellGuide’s ACLYS chip and an RF chain, which together with its associated host-based software, is targeted at mass-market device manufacturers. RAMON operates both autonomously and in assisted-GPS (AGPS) mode with -160 dBm sensitivity and a power-management design that reduces power consumption to less than 10 milliwatts in tracking mode, according to the company. 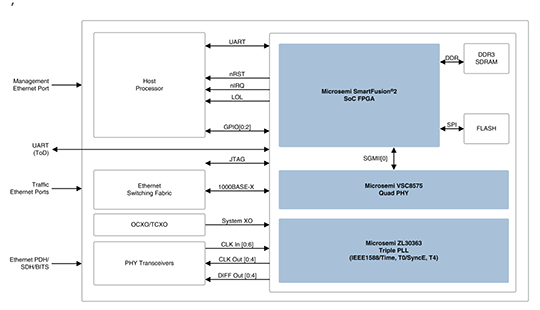 CellGuide has integrated its solutions into a broad range of third party ARM/DSP-based processors including those made by Freescale Semiconductor (MX series), Marvell (PXA series), NEC Electronics (MP series), Samsung Electronics (S3C24xx, S3C64xx), TI (OMAP), and others. The ACLYS host-based software runs on a wide range of operating systems, including Windows CE, Windows Mobile, Symbian, eLinux, Thread-X, Nucleus, and u-Cos.